Are you looking for ways to avoid being struck down by the flu? Although complete immunity can't be guaranteed, we have put together some top tips that might just protect you from getting sick this flu season. Incredibly, the flu pandemic of 1918–1919 killed more people than the First World War. And today, between 9.2 million and 35.6 million cases of flu arise each year in the United States. Flu is responsible for around 140,000–710,000 hospitalizations and 12,000–56,000 deaths annually. It is a highly contagious respiratory illness that is caused by influenza types A and B viruses. Flu activity often begins in October in the U.S., peaks December through February, and sometimes lasts until as late as May. 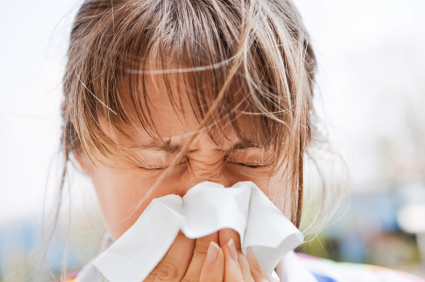 Although flu and the common cold share many symptoms, they are vastly different. For example, symptoms of cold arise gradually and are milder than those of flu, whereas symptoms of flu come on quickly, are intense, and may result in severe health problems such as pneumonia, bacterial infections, and hospitalizations. 2. Vitamin D3: Vitamin D3 is a major player in fighting the flu virus. One study shows that a low daily dose cuts flu risk by 42 percent.4 Just 1,200 IU of vitamin D3 per day is effective at preventing the flu. But less isn’t always more. A safe dose of vitamin D3 for most adults is 4,000 IU per day.5 Whole food sources include mushrooms, eggs, and wild-caught, cold-water fish.